We all think our dogs are special. But certain dogs and dog breeds possess unparalleled abilities in the canine world. Although every dog is different within their breed or mix of breeds, the following dog breeds boast some record-breaking and remarkable talents. A golden retriever from Australia named Charlie holds the world record for loudest bark. Measured in 2012, Charlie’s bark boomed at 113.1 decibels. For reference, that’s similar to the volume of a thunderclap, chainsaw or live rock concert — and roughly double the volume of a normal (human) conversation. 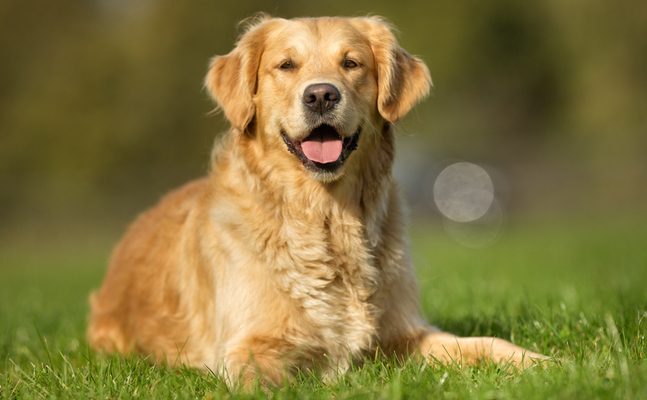 It makes sense that goldens would have a thunderous bark, as they come from a variety of hunting dogs who all had to make their voices heard over long distances. Golden retrievers are born to work and incredibly eager to please their people, according to VetStreet. Fortunately for everyone’s eardrums, they only have a moderate tendency to bark. But without a proper outlet for their exuberance they might develop unwanted behaviors, including increased vocalization. There are several dogs with stellar senses of smell, but perhaps none is quite as reputable as the bloodhound. In fact, the bloodhound is the first animal to provide evidence that’s admissible in court. “The world famous ‘Sleuth Hound’ does one thing better than any creature on earth: find people who are lost or hiding,” the American Kennel Club says. 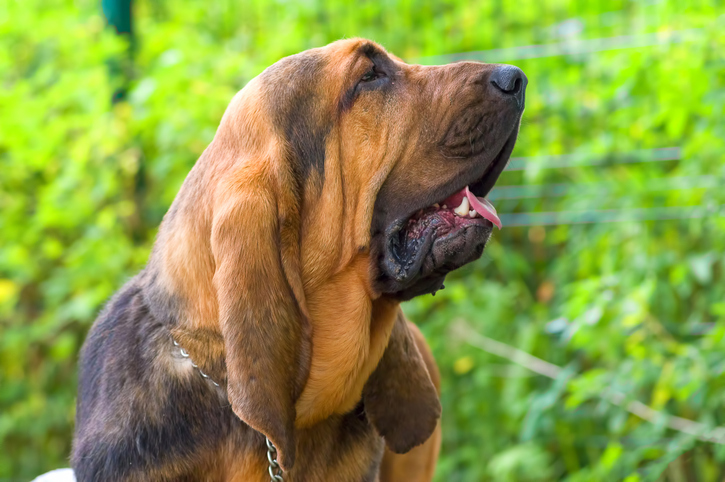 Bloodhounds are the modern-day representative of ancient scent hounds who likely originated around the Mediterranean, according to the AKC. And once these dogs catch a scent, it’s incredibly difficult — or impossible — to pull them off the trail. But interestingly, the “blood” part of their name has nothing to do with hunting. “Instead [the name] refers to its status as the ‘blooded hound,’ meaning aristocratic, since such great lengths were taken early on to keep the strain clean,” the AKC says. If you’ve ever watched any canine sports, you’d swear some dogs can fly. And there are certain breeds that truly excel at sailing through the air. Two dogs — a Labrador retriever and a whippet — hold the record for farthest jump in a dock-diving competition (a long jump into water) at 31 feet (9.44 meters). The descendant of greyhounds and terriers, “the Whippet’s muscular yet graceful build makes him an excellent jumper and runner,” according to VetStreet. And though Labs also are athletic dogs themselves, it might be their intense love of water that propels them off the dock. As for vertical jumping, a greyhound named Feather holds the title for highest jump by a dog at 75.5 inches (191.7 centimeters). Not to be outshone, her adopted sister Geronimo, a nimble border collie, holds two world records herself in canine rope skipping. But the best part is both of these pups were rescued from an animal shelter and now are getting the star treatment they deserve. There isn’t necessarily a record holder for most flexible dog. But if you’re looking for a pup to bring to yoga, the Norwegian lundehund might put everyone in the class to shame. This centuries-old breed from Vaeroy, a rocky island off the Norwegian coast, is proficient in much more than downward dog. These canine contortionists have “an ‘elastic neck’ that can crane back so the head touches the spine … and flexible shoulders that allow forelegs to extend to the side, perpendicular to the body,” according to the AKC. That flexibility came in handy, as these dogs were originally used to hunt puffins on rocky cliffs. (“Lunde” is Norwegian for “puffin.”) Adding to their unusual abilities, lundehunds also have at least six fully functional toes on each foot to provide extra traction. And they’re able to fold their ears shut for protection. 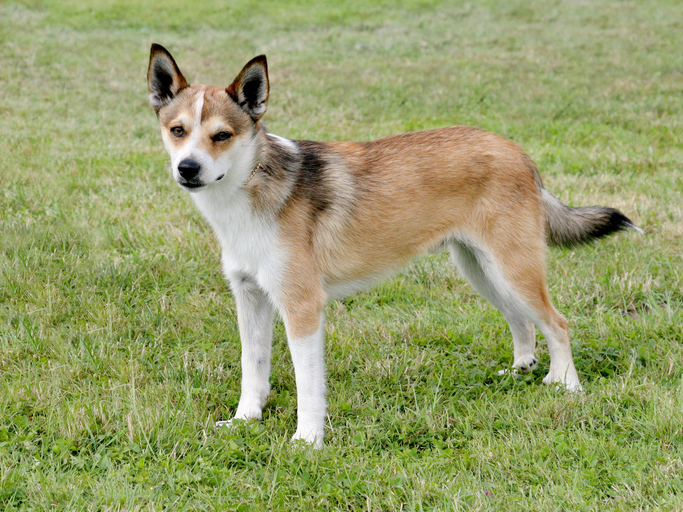 In fact, if yoga isn’t your thing, a lundehund would make a spry hiking companion, as well. These dogs have narrow, aerodynamic bodies with shock-absorbent foot pads perfect for high-speed running. But in spite of their athletic prowess, most greyhounds are happy to be affectionate, low-key and somewhat lazy companions after they get their daily walk. “Beneath those long, sleek, utterly iconic lines is the soul of what rescue groups call the ‘40 mph couch potato,’” VetStreet says. 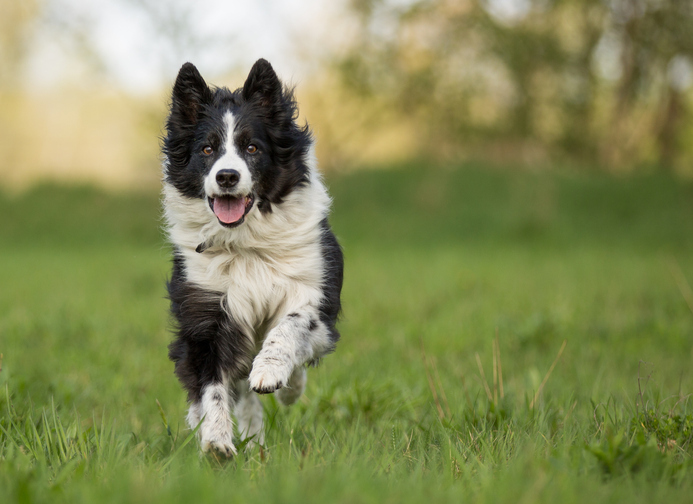 When you think of the smartest dogs, one breed always seems to come up: the border collie. And one very clever border collie named Chaser put those smarts on display by learning the names of more than a thousand objects — a canine record. She even learned syntax, “differentiating ‘to ball take Frisbee’ from ‘to Frisbee take ball,’” according to Scientific American. The border collie’s smarts mixed with its athleticism and strong desire for a job can be disastrous in the wrong hands. “His focus is legendary — and so is the havoc he can wreak when he’s bored,” VetStreet says. But provide them with ample mental and physical stimulation, and this is a dog who can learn some pretty complex party tricks. Although lifespan is less of a talent and more a combination of nature and nurture, it’s nonetheless still impressive when a dog greatly exceeds expectations. The most reliable record for the longest-living dog goes to an Australian cattle dog named Bluey, who reportedly lived for 29 years and 5 months from 1910 to 1939, leading an active life herding sheep and cattle. According to the AKC, the average life expectancy for a cattle dog is 12 to 16 years, which still is relatively long for dogs of their size. Bred for physical fitness over appearance, the Australian cattle dog is a strong, resilient pup who requires an active owner. “He’s well suited to just about any dog sport or activity you can teach, including agility, flyball, herding, obedience, rally and tracking,” VetStreet says. “When the ACD’s energy is not channeled in these ways, he will chase cars or bicyclists, remodel your lawn or do other destructive acts.” If you have a cattle dog, odds are they won’t live for 29 years. But when you provide any dog with the proper care, it will ensure they’ll have as many healthy years as possible.